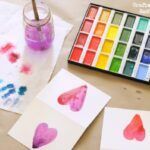 Teach the kids to use watercolours this Valentine’s Day, with these gorgeous and east Watercolour Valentine’s Cards – a great lesson in watercolours and the use of Mixed media. 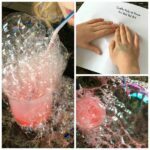 This is a wonderful guest post by Andrea from Kinder Art! 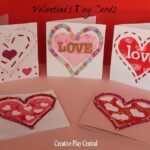 We have shared a different set of Watercolour Valentine’s Day Cards before and I love how both techniques really compliment each other and give the children an opportunity to explore! 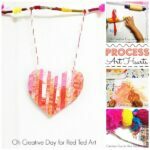 This is a great addition to our collection of Valentine’s Day Art Projects – from process art to great artists – something ARTY to suit any art lesson plan this Valentines. 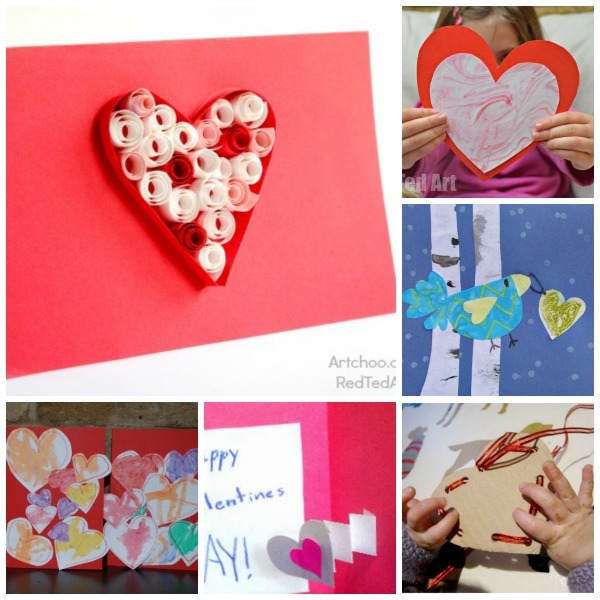 I also love that the results make perfect Valentines Cards for Kids to Make! Hearts appear often in works of art. And why not? 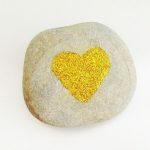 They’re easily recognizable as the universal symbol of love. Plus, they’re just plain fun to make. 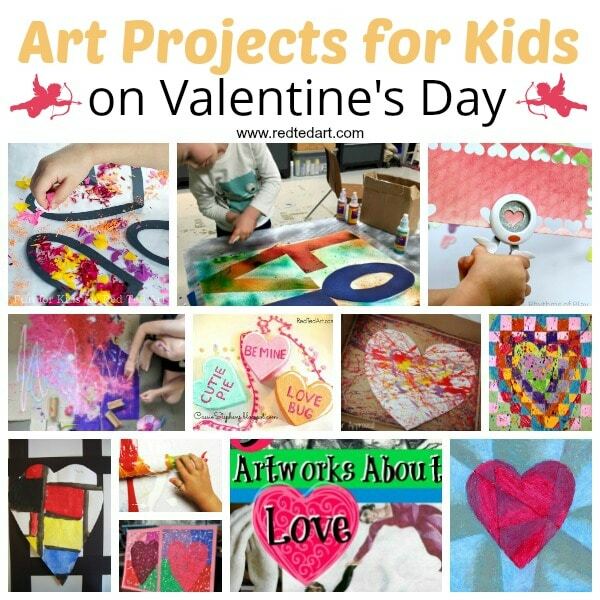 To celebrate Valentine’s Day, I thought it would be fun to share a cool mixed media art project your kids can do alone, or side by side with you. 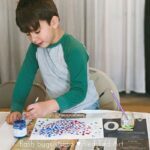 I’m a big fan of mixed media and while it may sound complicated, all it means is that you are using more than one art medium – in this case, watercolour paint and markers (and paper too, of course). Before you begin, simply gather some thick paper (ideally watercolour paper, but Bristol/poster board is okay too), a tray of watercolours, a couple of paintbrushes, a container of water, a black Sharpiemarker, a pair of scissors, and a glue stick. 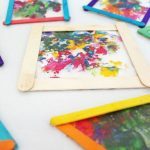 If you’ve got no time to pull out the paints, skip the first three steps for a quick n’ easy version of this project. 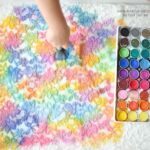 First, dip your paintbrush into the water and wet the paper. And when I say wet, I mean wet. We’re talking dripping. 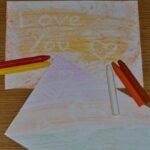 Next, choose a colour and add it to the wet paper. Watch as the paint bursts and travels where you least expect it. Embrace the total lack of control. Then, select another colour, allowing it to run into the first. This is good. You are winning. As soon as the paper is full of colour, don’t keep messing with it. Just let it be and set it aside to dry. When you come back, don’t panic if the paper has curled itself up like a maple leaf in October, just grab a heavy book and put some pressure on that sucker (when it is almost – but not quite – dry). All right, the next step is to draw a bunch of hearts on white paper using a black Sharpie marker. Plain printer paper is ideal. Then, doodle inside the hearts using whatever lines and shapes come to mind like squiggles, X’s and O’s, flowers, spirals, or zigzags. Because the maker is permanent, there’s no going back. So, if you don’t like what you’ve done, simply change it into something else. Working this way can be stressful, but it can also be incredibly freeing. It’s also how you can end up with a heart that looks like a chicken – which is all kinds of awesome. 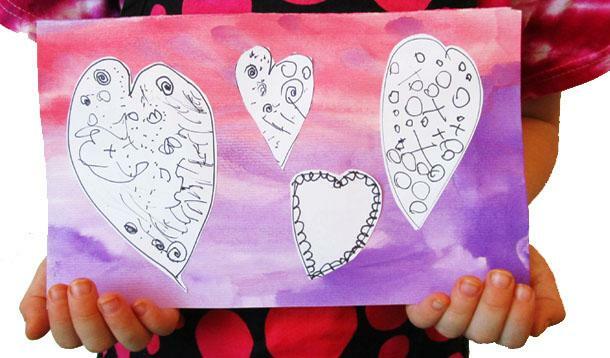 When the doodling is done, cut out the hearts and have a look at what you’ve got. 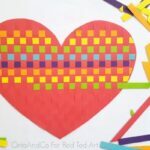 You can use plain construction paper as a background for your doodle hearts. 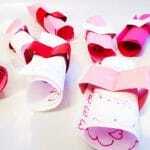 In fact, little folded over pieces of paper can become instant Valentine’s Day cards. So easy. So sweet. See the chicken? Give it a try and see what develops! Aren’t the results LOVELY? I adore the combination of the whimscial watercolours in strak congtrast to the sharp lines of the black pens! 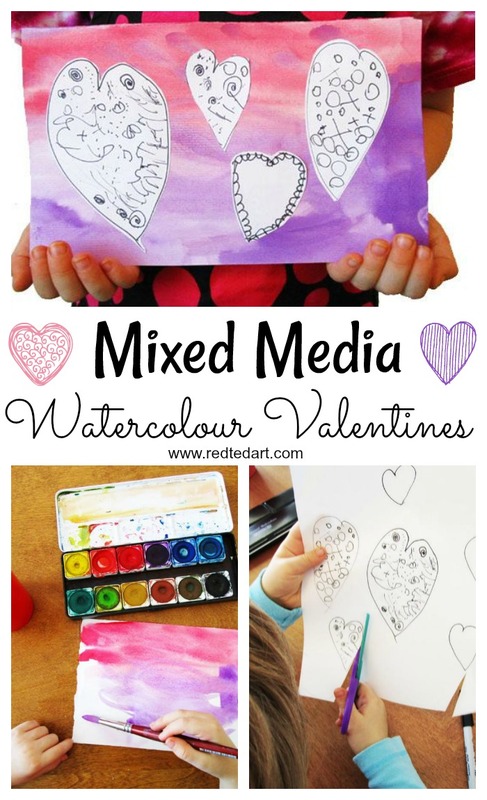 This really makes a beautiful watercolour Valentines Day project for kids. A big thank you to Andrea from Kinder Art for sharing this project with us today.